“Although I have faith that I just have to be in the feeling of my wish fulfilled I wonder if it is foolishness for me to not actively apply for all jobs – when I do look, the lack of openings in my area contaminates my state. Any suggestions on how I can deal with this contamination?” – Help Me! ….gives us the perfect solution to your situation. Notice what Neville did – AFTER he imagined – his wish fulfilled..
…and you will know WHY this is one of our FAVORITE stories from Neville’s own life. …and two of my brothers, Victor and Laurence, came up and spent two weeks with me in New York City, they checked into the same hotel. They wanted to see everything they could within 2 weeks and I bought them 14 shows and sometimes they went even to an afternoon show, they wanted to see everything in the crowded two weeks. But the one thing my brother Laurence wanted to see was the new presentation of Aida. …from the very moment that it was stated a new presentation, same music naturally, the same score, but new scenery, something new about it. And this captured the imagination of all opera lovers and they all wanted to see Aida. …no seats for Aida available and they were plastered all over the Metropolitan. I went in and there were 3 lines leading to the 3 windows selling tickets for the entire season and there was no seats for Aida. I got into the first line. It was a very long line, then I saw the third line from me moving more rapidly than the first and the second so I moved over to that line. …as we got to the window and seemingly no hope of getting tickets, but before I left my hotel room I simply assumed that I had the tickets for my 2 brothers. I didn’t want to go, they wanted to see it so I assumed that I gave them the tickets. I got into this line and it moved rapidly towards the window as we got there, to the window, a tall blonde man, he was about oh he must have been about 6, I’m 5’11, he must have been about 6’4. …as he asked the question, why one in front of me is buying, it’s not for Aida for that’s completely sold out, he is buying 2 other seats from some other opera. Then he departed after he diverted the man’s attention. This man pushed on some bills under the window and then as the teller looked at the money, and this man is at the door now, the tall, tall blonde fellow. And he gave this man the ticket and then suddenly he said, well he only gave me 3 dollars he should have given me, and he mentioned the money he should have given me. At that he was bewildered. He was so completely dumbfounded he didn’t know what to do. I said, “I am standing here, I saw exactly what was done.” Then he opened up his purse and there was a stack of ones and he had a 20 dollar bill and 2 tens. He said to the man, “When will you discover your mistake that I gave you 2 tens?” And the man said to him, “At the end of the season.” And with that it was closed and the man then took out the money and paid for the ticket and took back his 2 ones. …and I want them in the horseshoe circle. I want them center.” He said, “Yes Sir,” and he took from what he called the VIP, they always keep a few out, when the house is sold out they always keep a few seats for those who are coming called the very important people. I am certainly not a very important person, but I saved him from the loss of 20 dollars and he quickly took the 2 seats out and said to me,”20 dollars.” I gave him the 20 dollars, went back and gave the 2 seats to my brothers. Before TAKING any action, before going out and standing in line, Neville ASSUMED that he had the tickets to give to his brothers. (Notice he didn’t add in any anxiety or conflict about it. He simply rested in the state of “it is done”.) If you are seeking a job and they say there are no openings, assume still – the perfect job is yours – that some series of events will unfold – that will make it so. Neville, while living from the state of his wish fulfilled – found himself in line – and found himself changing lines – and found himself confronting the con man. …which is part of the UNIVERSE – across a series of bridges – of incidents – to the tickets. Remember: That state of Neville’s – also drove the con man to play his role – perfectly too. Everything in the universe – including Neville’s own body – played it’s part perfectly – and everything happened SO EASILY – because he Followed The Formula and he stayed in his state! And we study them, research them, and codify them so you get the results you want. That’s what we love exploring and sharing here on the Free Neville Goddard site, and DIVING DEEP INTO in our Power Packs and Trainings. Thank you for asking for clarity mate, and thank you all for being part of this amazing Neville Goddard community. Want more life changing insights like these? Ready for REAL WORLD RESULTS? – Then DIVE DEEPER and JOIN US! Read the Success Stories and HAVE FUN! I manifested some free courses I’ve been wanting to take and I somehow manifested a visit from my cousin who lives in LA!! I hadn’t seen him for 44 years!! We were pen pals as kids… he knows we are creators too and what an amazing visit and felt an amazing connection… he was coming thru Altoona for business… that is some powerful stuff!! Thank you so much for all the daily support.,. I am blessed to have found you!! 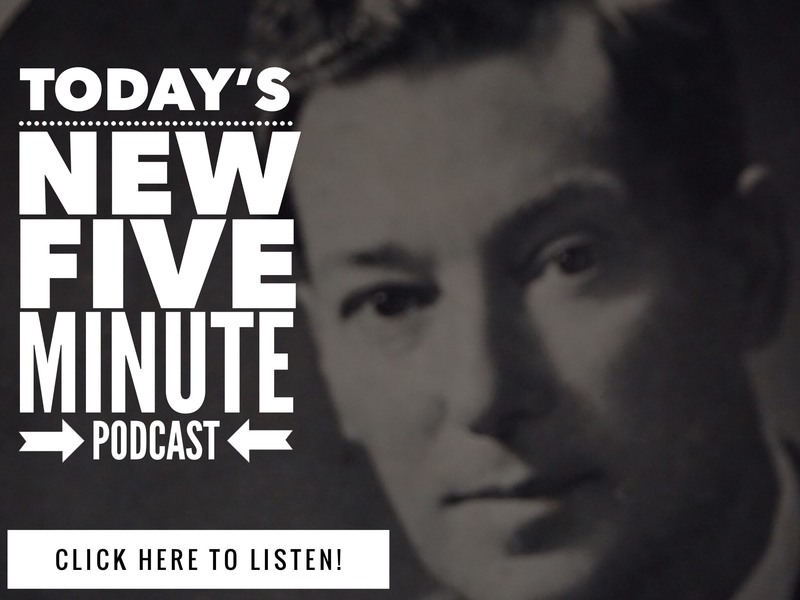 14 Comments on "CASE STUDY – How Neville Goddard Manifests The Impossible"
I am exactly in the same situation as you are, it’s uncanny really, and a bit weird if you ask me. I mean I couldn’t have worded it better myself. Dream job, NY, living the life and of course expecting it to be outta this world etc. etc. But Mr. TT thank YOU so much for your response because it really was an eye opener! So basically the point is, keep applying but believing that you’ve got it in the bag. I know it’s easier said than done, but I will try. Forever and always! Which Neville book/lecture/audio has this experience? I would like to read/listen that! Hey mate, that's from "The Duality of Man". Enjoy! Twenty Twenty Thanks. Bless You Sir. Funny I had a very interesting experience about 4 years ago when I had quit one job and had done the usual “hunt” for the next. Nothing worked out and I gave up. I was living in Europe and was about to leave when out of the blue i.e. I had not made any effort in this specific direction, someone who I met 8 years ago at a dinner had heard from someone else that I was leaving and got in touch with me and there was a role that was not advertised on the job market. I got that. The “hunt” based on the intellect failed. I see that on a day to day basis on “smaller” things to. Just yesterday I was strolling through BrooK!lyn and stopped casually at a restaurant to look at their menu and the owner suddenly started chatting with me and bought me a drink, then proceeded to have a discussion (: he did most of the talking actually 🙂 that was perfect correspondence to my state of mind at the time. There is no way my intellect could have done that, just does not have that kind of capacity. No finite intellect does. But yeah I guess it is okay to send out applications but perhaps with a detachment from the outcome. I like to treat such action these days as action for alignment or peace-of-mind (: instead of worrying and fretting that I’m not doing anything about the situation 🙂 rather than action towards the outcome. Almost all the important job moves I’ve made have come outside of the usual “hunt” and they are often things I wouldn’t have intellectually chosen but were in perfect correspondence to my overall state of consciousness. Surely this is the easiest to digest and understand from newby to expert…this one thing, to hold the end feeling, the state, the assumption..and then take all actions before us with that assumption in mind and heart. This is what keeps me working well with others, as I tend to mention time to time how humans are the best and the worst in my life: can’t live with ’em and can’t live without ’em…> HAHA – and truly, when I hold the end so clearly, all my moves are strong and clear And then, all my moves are pure love. clothing, a gift from a total stranger. I AM NOT MAKING THIS UP!!! I don’t think getting stuff cheap or free is really a high form of manifestation. It implies a cheap and tight attitude around money if you’re always looking for ‘deals’. Better to have a pile of cash and just pay what you need when you need. Looking for cheap or free stuff is a form of poverty consciousness, imho. The FOUR wealthiest people I know, who have created MASSIVE wealth in their lives – love getting great deals….. Just like I do…. I find it fun to manifest a great deal on LAMB STEAKS… Getting them for the price of cheap burger…. Just like I enjoy manifesting my BMW 325i for less than I paid for my 1988 Chevy Pickup – back in 1988. Here’s my thing… How much FUN are YOU having with this? I bet Cindy has sent us over 100 success stories…. Some of them having SIX FIGURE wins in them. And she has poverty consciousness you say…..
ok, thanks. I guess it depends on how you feel rather than exactly what happens. Fun is a good measure of successful living, I agree.